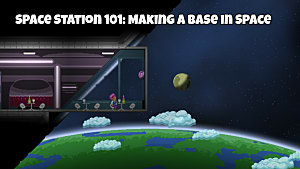 Starbound's 1.0 full release update brought a slew of new content to the game, and with its announcement came waves of players both new and returning to see what the depths of the game's universe holds. 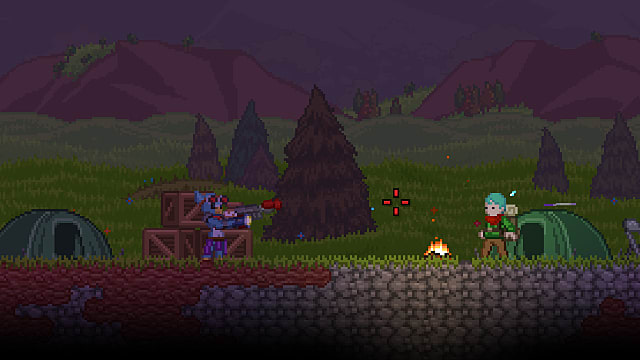 Combat is as big of a part of Starbound as it's ever been, if not more so with the game's new bosses and sub-bosses. Players who gave the game a rest during its extended beta period and newcomers alike can and do come into the game and find themselves a little confused over all the new weapons and how they work. 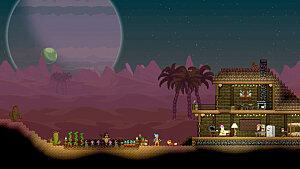 Starbound is packed with weapons both procedurally generated and specifically designed. Some, such as fist weapons, have no procedurally generated options and will always have the same stats; while weapons such as hammers, daggers, and so on always have random stats. On top of some types of weapons packing exclusively random stats, some are ranged and some are melee -- and some still are magical. There's pretty much something for everybody in the game's nearly infinite weapon stockpile. Some weapons have elemental affinities, of which there are four total. Not only will these weapons do damage of that element (and extra to enemies weak to it), but they will apply specific status effects on enemies when hit. You can see which affinity a weapon is right in its item information. The element will be marked with a symbol. 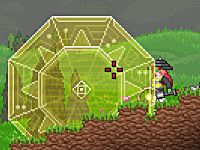 The status effects last 5 seconds when applied by weapons. Fire element weapons can burn enemies on hit. 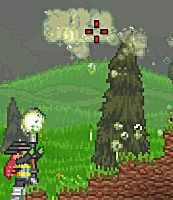 This deals a small amount of damage per second and makes the afflicted target light up in the dark, but the burning status effect can be doused out by hopping in water. Frost element weapons can freeze enemies on hit. This reduces their move speed and jump height for a short time. Electric element weapons electrify enemies on hit. 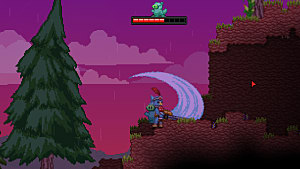 This deals damage to nearby enemies based on the electrified monster's health. Poison element weapons can poison enemies on hit. This deals a small amount of damage per second. Both ranged and melee weapons can have elemental affinities. Most players are more comfortable with melee weapons than ranged as they provide a certain close-range safety net that ranged weapons generally do not. Not to mention they're pretty fun to swing around. There are one-hand and two-hand melee weapons, and both of them have distinct advantages and disadvantages over one another. For instance one-hand weapons tend to be faster and allow you to dual wield or equip a shield, but they do not have the special attacks. On the other hand two-handed weapons are slower and take up both slots on the hotbar, but have special attacks that more often than not make them worth it. Uncommon and above two-handed melee weapons can come with special attacks that can be used by clicking/holding the right mouse button. Most special attacks apply a weapon's elemental status effects. Special attacks use your energy bar but are generally powerful enough to be worth it. A weapon type's eligible special attacks are listed just under the weapon types themselves. Broadswords - Slower and more powerful than shortswords, with a large frontal attack trajectory. Broadswords with the Parry skill have the potential to be defensive over offensive. Hammers - Hammers are different from other weapon types in that you must hold down the mouse button to lift them up and release the button to attack. These have the highest raw damage potential but can be hard to get used to. Spears - Unique from broadswords and hammers in that the stab outwards instead of slashing, you can also hold the attack button with spears to deal damage to enemies in front of you. Ranged weapons are where things start to get a little tricky. 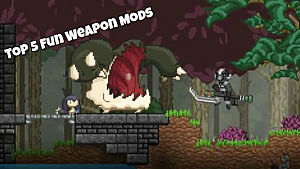 There are many more types of ranged weapons in Starbound, ranging from bows and boomerangs to wands and guns. Most of the game's interesting or unique weapons lie squarely within the "ranged" category. Bows are unique from other ranged weapons in that when you kill monsters with one they will drop meat. 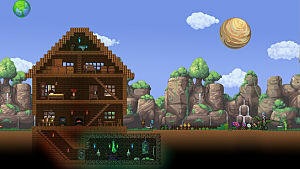 In some cases they will also drop leather and other crafting materials, especially with boss and special monsters. These weapons have set stats and effects. If you hold the attack button until a bow flashes and let it go right at that moment your attack will deal extra damage. A mixture of bows and plan throwing weapons, boomerangs will come back to you once thrown. Boomerangs are unique and can have their own special trajectories. 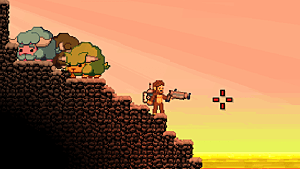 There are a lot of guns in Starbound, from one-handed pistols to two-handed rocket launchers. Each type has its own "attack style" and chances are you'll settle on your own favorite types. These two magical weapons are bundled together here because the primary special abilities they can have are exactly the same. So if both weapons have the same special abilities, what's the difference here? While wands are one-handed and only have one ability, staves are two-handed weapons with special secondary skills. There are four primary abilities between both weapons, and each of those four abilities have four elemental variations for each of the typical weapon elements. Bouncer - Spawns an elemental orb that follows your mouse. If it bounces off surfaces it leaves elemental residue that deals damage to enemies. Orb - Spawns an elemental orb that follows your mouse and deals damage to enemies it touches. Portal - Spawns a portal that sends out elemental energy to your mouse location, dealing damage to touched enemies. Rain - Spawns a rain cloud that follows your mouse deals damage to enemies under it. Swarm - Spawns multiple elemental orbs that follow your mouse. Any of these abilities can have any of the four elemental properties. While these are the only part of wands' capabilities, staves can also have the following special abilities usable via the right mouse button. Each of these skills places a large magical circle down that has its own special effects. The magical circle will disappear after a short time. And lastly, there are a few instances of super-rare staves and wands having unique primary abilities but these are far and few between. The last weapon featured here, the whip is one of the least common weapon types in the game and aren't quite the same type of ranged weapon as the rest. Whips have a limited range compared to other ranged weapons, but they are a definite favorite weapon for some. They are not procedurally generated. 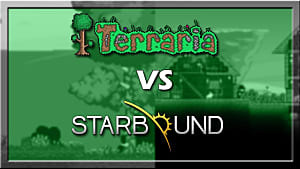 And that concludes this riveting trip down Starbound's weapon rabbit hole! The list of weapon types alone is fairly impressive, but the actual number of weapons you can stockpile in the game is even better. 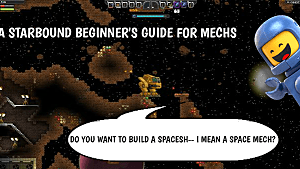 These descriptions are one thing but getting your hands on new weapons and seeing what they can do is a big part of the fun in Chucklefish's space sandbox.